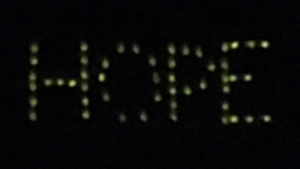 Last weekend, I learned something about the beauty of Relay for Life. Along with family members and good friends, I participated in this 24 hour event to raise funds for and promote community awareness of cancer. Through generous contributions by team members and friends, the team raised over $700 for the American Cancer Society (ACS). 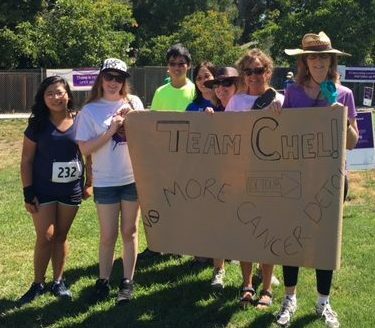 The fundraising continues through the end of August, so if you would like, you may still make a contribution to Team Chel’s effort to fight back against cancer. 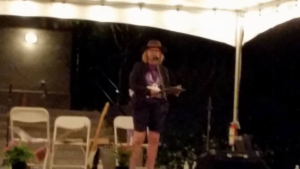 Although it was a hot time of the year for the event, I chose to take part in the Relay for Life of Saratoga to mark my transition back to health. 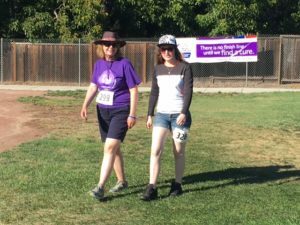 San Jose and other neighboring communities hosted their Relays earlier than Saratoga, but I wanted to be energetic enough to walk laps and in the words of ACS, to fight back against cancer. Most of my team came in from out-of-town. My family stayed in my home. After receiving only limited guests during chemotherapy, having a full house was a blast! 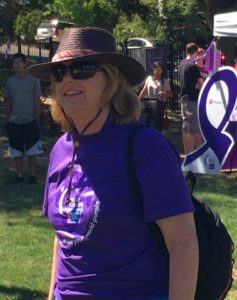 I was delighted to have my roommate from my freshman year in college join my team, helping to raise funds and driving a few hours with her family to walk in the Relay. My team and I didn’t spend the night walking like other teams, but the busy schedule still made for a tiring day. I spent a few afternoon hours napping on the field under our team tent, but walked during cooler times of the day and participated in activities throughout the event. As I walked laps, I chatted with my teammates as well as folks from other teams that I met while walking around the track. I sensed an immediate kinship born of our common experience with the disease, whether it was as a cancer warrior, survivor, caregiver, friend, family member, or colleague of one who suffered. Our diverse experiences left us with passion to see cancer research move forward toward finding an end to the human suffering caused by the disease. In a similar same way to the how I take issue with the term cancer journey, I am uncomfortable with the term cancer survivor. To me surviving is just barely squeaking by. However, I plan to do much more than survive. I aim to utterly overcome the disease! So, I prefer to think of myself as a cancer overcomer. 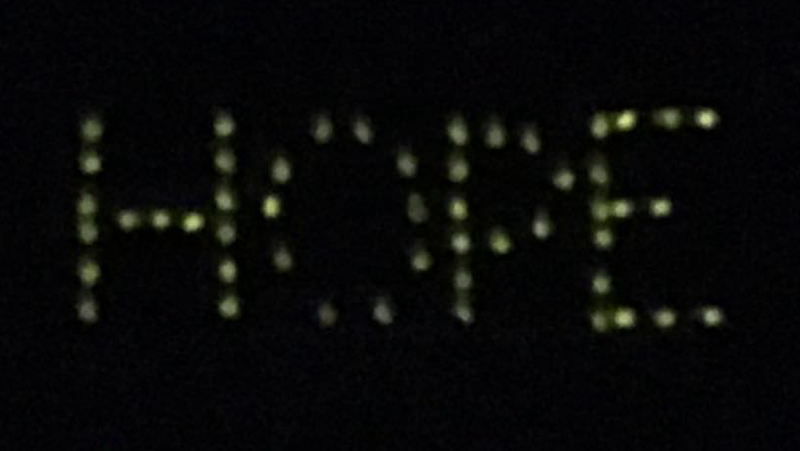 I overcome cancer by living life with joy in the present and great anticipation for the future. It’s something like after nearly landing on Boardwalk and Park Place with hotels on them, I instead received a get out of jail free card. things that used to be automatic or even reactionary. Now, I realize I can change my perspective to live with greater hope and purpose, while letting the little things stay the little things in life. I am not saying I have this down perfectly now, but I find a lot fewer reasons to get irritated or upset about than I used to. For me, cancer has always had a face. It was a face I had only seen in photos; the face of the maternal grandmother I never knew. Grandmother Alice lost her fight against metastasized breast cancer before I was even born. Her cancer story, as told by my mother and other family members, was of a painful struggle in the days when cancer treatment was limited. It was also a story of the helplessness and hopelessness of family members as they daily watched her waste away, consumed by the pain and devastation of this dreadful disease. Back in those days, there was little treatment for breast cancer beyond radical surgery and certainly besides radiation treatments, no hope for someone with metastatic disease like my grandmother’s. So, our family was marred by this life taken too soon and too ruthlessly by cancer. Walking laps with my niece, Shiloh. Because of my grandmother’s battle against this disease, fear of cancer became part of my family identity. 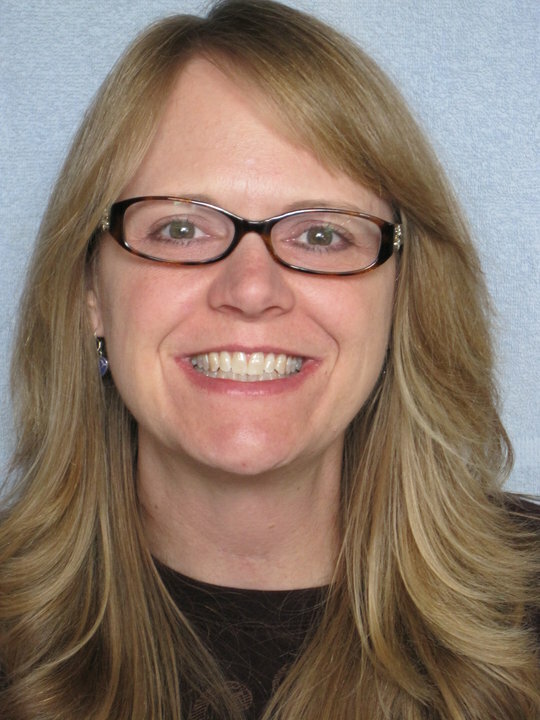 At some level, I feared I would get breast cancer like she had. So, I dutifully had my screenings. Then, last year a growth of unknown nature was found in my mammogram and a biopsy was scheduled. I was in agony as I awaited the results and then again six months later, the outcome of the follow-up screenings. However, thankfully both were negative for breast cancer. Little did I suspect that just a couple of weeks after being cleared of breast cancer and before the age 50, I would be diagnosed with a completely different kind of cancer that was uncommon to my family. Although I would never wish the trial of chemotherapy or radiation on anyone, I am profoundly grateful these treatments exist. Notwithstanding the persistent tingling of Chemo Induced Peripheral Neuropathy in my fingers and toes, I am thankful I received chemotherapy. I am infinitely grateful for organizations such as the American Cancer Society that have raised funds for cancer research, patient services, and community awareness. Unlike in my grandmother’s day, we benefit from decades of chemotherapy research and trials that have led to the successful treatment of various forms of cancer, giving me an optimistic prognosis for continued health. Because of ongoing research into cancer treatment supported by the American Cancer Society and other organizations, if I have a recurrence, then I will have an even better chance of survival than I would have today. Better chances at anything in life seems a good thing, but for surviving, or overcoming, I especially like those odds!